The FTR is built to fly, with a smooth full outline and low nose and tail rocker, this board will clear sections and turn on a dime with the tight swallow tail. The FTR is perfect for small to medium sized waves, offering easy surfing in weaker waves. Its width and volume under the chest allows you to get up and go with ample speed and the ability to turn easily and keep it critical with the tight tail. 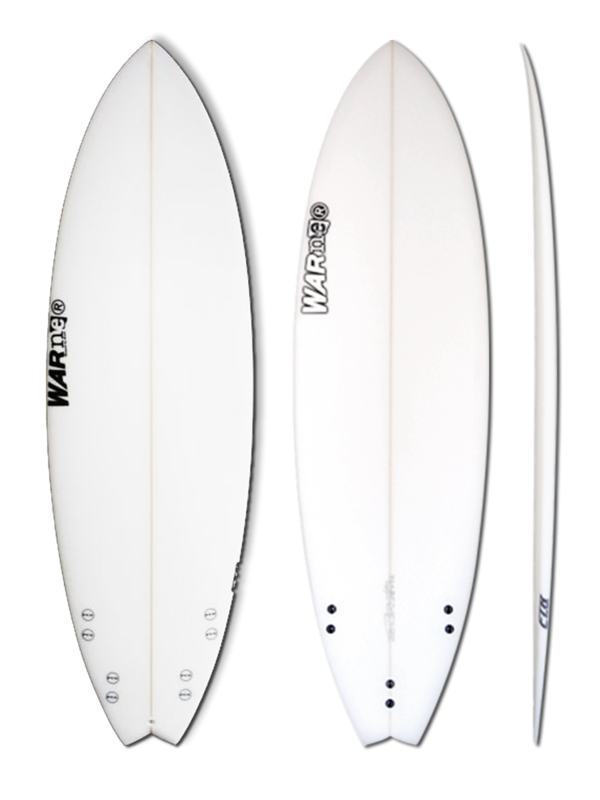 Flying across a wave or boosting airs, the Warner FTR is perfect for those 1-3 foot days. The FTR is perfect for Australian summer conditions and any surfers looking for a small wave board that has a high performance focus. Ride this board 6 inches shorter, 1 to 1 1/2 inches wider and 1/8 thicker than your regular board. Also check out the popular Warner MXN for another small/medium wave option.